The Umiujaq Research Station is owned and run by CEN whose secretariat is based at Université Laval, Québec, Canada. This station is part of the CEN Network. In 2010, CEN undertook major station upgrades thanks to a grant from the federal government and restored the warehouse (still shared with its partners), built a vehicle garage, and a 3 bedroom house. The facility is next to a pier for easy maritime access. The facility can accommodate 7-8 people. The house is equipped with partial solar powered electricity, running water (kitchen, toilette and laundry), and oil heating. Climate stations, part of the CEN SILA network and permafrost monitoring sites. Past and present research has focused on permafrost studies, coastal geology, and geomorphological characterization of the region. CEN’s research has been conducted here since 1980. CEN researchers use a meat plant/warehouse that has shared ownership (CEN, Anniturvik Landholding Corporation, and Makivik Corporation).  Other than the scientific literature available, CEN has extensive climate data since 1997 which is available via the Nordicana D data repository (www.cen.ulaval.ca/nordicanad) and upon request (cen@cen.ulaval.ca). Permafrost studies, coastal geology, & geomorphology, biodiversity & dynamics of northern aquatic ecosystems; groundwater hydrology; wetland paleoecology; mercury dynamics; snow & ice dynamics; greenhouse gas emissions; sea & lake mapping; plant community dynamics. In 2010, CEN undertook major station upgrades and restored the warehouse (still shared with its partners), built a vehicle garage, and a 3 bedroom house. The facility can accommodate 7 to 8 people at a time. The house is equipped with partial solar powered electricity, running water (kitchen, toilette and laundry), and oil heating. Within the community, arrangements must be made prior to arrival. Arrangements can be made to hire Inuk guides for projects taking place outside the village. CLSC (health clinic) in town, 2 staff with basic medical training, 45 min. to hospital in Puvirnituq (by plane). Umiujaq was established in 1986 by Inuit from Kuujjuarapik, 160 km to the south, who decided to relocate in the region where they hoped to better preserve their traditional lifestyle in an area where fish and game were not threatened by development. CENês research has been conducted here since 1980. Research topics cover biodiversity and dynamics of northern aquatic ecosystems; impacts of thawing permafrost in the context of global warming; wetlands paleoecology; research on mercury dynamics (air, precipitation, snow); snow and ice dynamics; greenhouse gas emissions from thermokarst ponds and tundra; sea and lake bottom mapping; and plant community dynamics and response of northern plants to climate change. Archeological studies and community based monitoring activities have also taken place. CEN operates four climate stations in the area and thermistor cables are installed to monitor permafrost temperature. Umiujaq has a population of about 500 inhabitants, mainly Inuit. The people speak Inuktitut and English with some French. Some work on the social dimensions has been conducted over time. Umiujaq is only accessible by commercial airlines (Air Inuit). All research activities must be planned in advance. Maritime transport is available twice a year. Local guides and translators are available for hire. Access to the surrounding area by chartered flights (floatplane and helicopter) can be organized by CEN from the Whapmagoostui-Kuujjuarapik Research Station. Contact CEN (cen@cen.ulaval.ca) for more information.